SIGN UP BY TOMORROW MIDNIGHT! In my household, we've been trying to save money in this uncertain economy and unfortunately, my book reading has suffered! The library doesn't have anything new and new books are so expensive! So, we're going to try this. Since this is a first (for me anyways), we'll do this as we go. First - comment here that you're in. I'll then compile a list and we'll go from there. Once everyone's in, I'll compile a swap list and you and your partner can discuss what you have and what you'll swap, one, two or twenty books! You'll pay for your own shipping to the other person. Oh, and don't forget to tell your friends! Are you up for it? Comment here by Monday, August 31st and then I'll see how the next step goes. NOTE: If you comment, you MUST be willing to send your book so that everyone gets a new book. If you are not willing, do not comment! It would not be fair to others participating. 1. 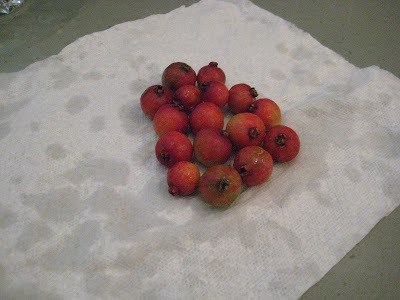 We have a Strawberry Guava tree in our yard! How neat is that! 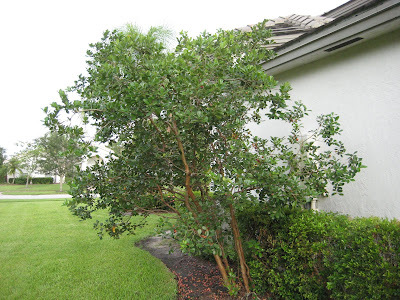 Husband discovered that this normal looking tree was bearing fruit last week. He didn't know what the berry (size of a cherry) was so opened one up to take a taste (but just a taste. After all, you shouldn't eat it if you don't know what it is.) It was unbelievably sweet. Seriously, one of the sweetest fruits I've ever tasted. 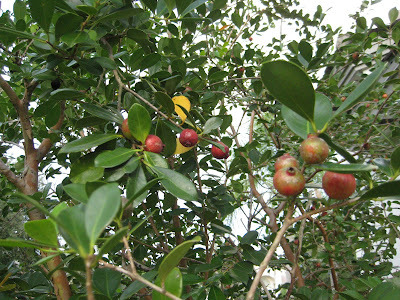 After some research, we discovered that it is a Strawberry Guava Tree. 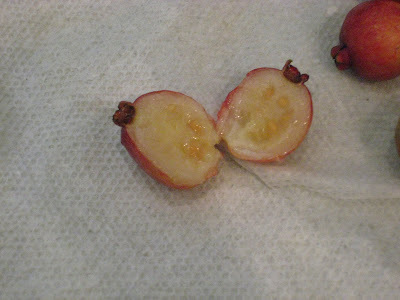 The fruit has hard seeds, is soft like a peach, has skin like a cherry and has the gritty texture of a pear. I can't describe the taste, just yummy! Husband is going to make a jelly / jam (what is the difference) with the fruit! 2. 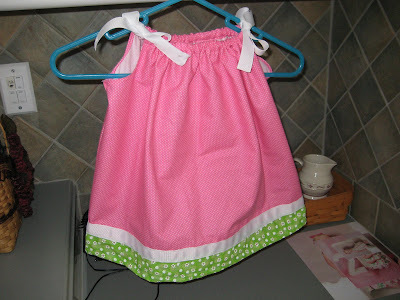 I've made another dress, isn't it cute? I'm thinking that once I get really good at making these I might open my own Etsy shop! That is, if I can resist putting them on Lallie, they look so cute on her! 3. 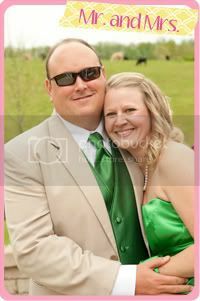 Someone has hired me to make some of my pink & green grosgrain ribbon topiaries for party centerpieces! I am so excited that someone is interested enough in them for me to make them. I'm going to work on them this weekend and will show off the finished product then. Maybe I'll add these to my Etsy shop. Hmmmm. 4. I'm sorry that I have absolutely NO pictures of Lallie from this week. She hasn't been in the most fabulous mood and picture taking has NOT been an option for her. I will get to the Post #2 of our last weekend's recap (we went to the zoo, better known as Lion Country Safari). It's on Husband's camera which is at home and I'm not allowed to touch it without supervision. LOL!! 5. I am so excited about our trip up to Kentucky next week! First off, my parents just left so I'm a little down-in-the-dumps. I always am for a few days when my parents leave because I won't see them for a few months. Going to Kentucky to see Husband's family will most definitely cheer me up (until we leave!) Plus, it's a farm....relaxing, fresh air, animals to pet and play with, fresh vegetables, home cookin', I could go on. The other reason, I am going to my very FIRST Tobacco Festival. Small town affairs commemorating harvests (in this case, tobacco, other places, the corn, molasses, whatever) are so much fun with local bands, fantastic food (i.e. home-cookin' or funnel cakes! ), and they still throw out candy at the parades. Usually, for this particular town, it's a homecoming for those moved away to reunite with old friends. Husband's high school buddy, Johnny, will be there too. They were apparently inseparable in high school! I'm really excited about it, brings back memories. I used to go to Mule Days in my grandmother's town (which is actually smaller) every year and we'd have so.much.fun! My best friend, Laura, and I loved it so much, we would drive separately in our high school days to my grandma's farm so we could have free access to come and go as we please. We would cruise into town in Laura's fancy black celica convertible with the top down blaring Low Rider on the CD player (you know, because of the Dazed and Confused album) and my super cool cousin, Aaron, would strut over to car and hop in and ride along with us. We were SO COOL (oh my goodness, we must have looked like total wierdos!) LOL!!!! Going to these small festivals bring back memories. In addition, I think it will be great for Lallie to see some good ole' hometown southern charm where people still wave at strangers. Wow! I just tweeted about possibly having a book swap and I got LOTS of interest. So, let's try it! Okay, so I know that Haphazard Thursday isn't really my blog title, I'm borrowing it from Molly Lou Gifts who has actually turned out to be quite a blog friend! I love Molly Lou, her personality, her adorable shop, her kiddos. You should really check out her blog. Anyways, I'm borrowing Haphaazrd Thursday as that is exactly what I am having! Okay - this is one hurdle, we'll get past it! 2. Moving on.... I am having people over for dinner Saturday night. WHAT WAS I THINKING??? Why didn't we just go out? I don't mind cooking for really close friends or family who understand my lack of cooking expertise. But seriously, what am I going to make for these new friends. If they only knew what they are in for? I can usually make one dish great, but I am assuming that my guests would like sides to go with their main dish? Maybe? Maybe not? 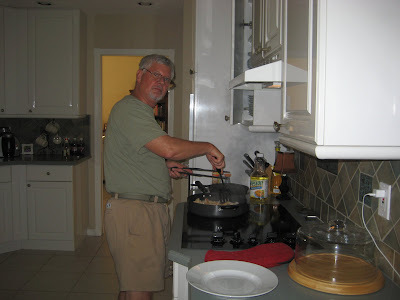 From past blogs, you may think I love to cook. That couldn't be further from the truth. Let me clarify, I love to collect recipes and read them, I do not cook them. I have them all organized alphabetically by dish in a binder and indexed. It's scary really. Any ideas for a non-cooker dinner party would be helpful! 3. I am completely irived as I have some how become malwooded with kupensem. Apparently this disease is caused by hermicip sylbas which comes from overuse of deslyn powder. It causes me to be poopeyed and peeplayed and also causes turrets. I've been saying all sorts of random things like sexybonsy. Seriously, I think the doctor should prescribe some slybas slisim because I don't think I can take much more of this randomness. 4. I need a new blog nickname for my husband. "Hubby" "Daddy" and "Husband" aren't working. I would use "Mr. T." but I don't know that I would consider him an 80's, gold-chain wearing, mohawk, McGyver type guy and I'm not sure my bloggy friends would really get a true picture of him. Need to think about this one. I did however, type my name into Google and nothing led anyone to this blog, which is good. I don't need any creepy stalkers or I'll go private. So, this was a good thing (considering my full name is the blog URL - again, what WAS I thinking?) I could change the URL but that would throw off some of my non-fellow blogger family/friends that I'd have to inform them of the change. 5. We're going on a long weekend trip next weekend. To take white capris, to not take them? To take my summer Lilly, to not take them? We're going to Kentucky, it will be hot. BUT, it's Labor Day weekend and all you ladies out there know what that means? No white shoes or pants until Labor Day! Being I'm a south Florida girl now, I'm wondering if I can at least get away with the white pants until Derby day anyways. 6. I saw this quote over at Chic & Pink. “Never let someone be your priority while allowing yourself to be their option.” This is so true whether it relates to relationships or friendships. Wow, this kind of bonked me on the head this morning like that V-8 commercial for reasons left unspoken. OKAY - suggestions please - on your mark, get set, GO! ....without window shopping. By Downtown, I mean downtown Stuart, Florida. They have the cutest shops including one of my personal favorites, Tootsies Too. It's a high end shoe shop that just happens to sell Lilly Pulitzer shoes and accessories. Of course, I took a double take, I've only seen them on-line. Then I see a few handbags that aren't Lilly but super cute and very affordable for the fall season (but I already have my fall bag, so I was just being nosy). I turn around and look at the contractor who was on the phone at the time and he said "window shopping, eh? My wife would love that bag!" 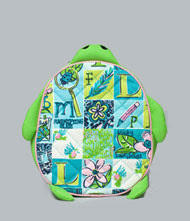 It's the perfect size for Lallie and how appropriate that it's a turtle because she is in the Sea Turtle room at her Montessori school! It was very affordable too and I can just see her now with a little backpack on as she marches into school each morning. I wouldn't use it for school, would get too dirty. But, we're heading out for a long weekend fall trip next week and I think she'd love this to carry her toys and DVDs for the airplane ride! Not to mention, they are very well made! Way to go Lilly! Long post - but it's a revelation for me! I am cheap. That's all there is to it. I am a Target T-Shirt wearer, coupon clipper, bulk price club and Wal-mart shopper, Ebay buyer, Cover Girl makeup wearer, TJ Msxx and Marshall's shopper. I REFUSE to buy anything at full price (even Lilly Pulitzer, though I did just buy a pair of Bonanano's, but those were a gift). I became extremely frugal right after college. My parents had raised me to be a responsible person and when I had to have a medical procedure, which I thought was insured, I ended up with a $3,000.00 medical bill, in which I paid $50.00 a month towards. I was eventually sent to the collection agency (I never told my parents about any of the billing issues until after the fact). If it hadn't been for my parents helping me out monthly until I got on my feet, I would have been living in my car. So, no matter if I ever become fantastically rich, which is unlikely, I will probably always be cheap. Seriously, I had a nervous breakdown when we bought our first house. My husband, thankfully, has bee able to break me of this extreme frugal habit as I was on the brink of breakdowns every time I went to the grocery store and now, I'm not as extreme. However, I am still cheap. "Hi, my name is Jennifer, and I'm cheap!" *applause, applause*. In spite of my being cheap, I always feel pretty in that I do wear Lilly Pulitzer and sport pretty shoes, I just research and find the best possible price. 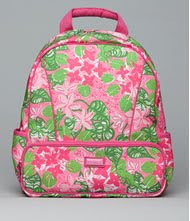 For example, the other day, I bought the summer shift for $79.00 at the Lilly store. 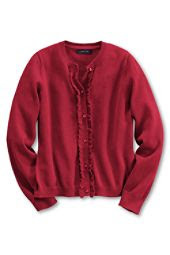 It's still online for $228.00, was at Dillard's for $160 and at the Peppermint Palm for $139.00 (I think). I researched and bought the dress inexpensively. Okay, moving on. What on earth does my blog title mean? I have learned the hard way, that there are just certain items in which I cannot afford to be cheap. Two of them are Nail polish and razors. I do not remember who told me this in blog-world, but someone mentioned Essie's new nail color, Guchi Muchi Puchi. I looked it up online, thought the color was cute and proceeded to go out and buy the Revlon version for half the price. I have been using cheap nail polish including (sssshhhhh) Sally Hansen since I moved to Florida eight years ago. Since it's summer practically year-round, even in the winter, you can get away with wearing open toe pumps, so your toenails must always be painted. 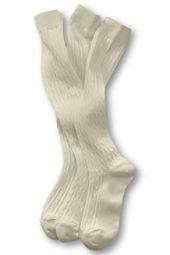 For eight years, I've been manicuring my own toes, for eight years I've been going to bed FIVE HOURS after I paint them to wake up with miniature basket-weave thread marks in my toenail color. I have watched them chip after one day without any blunt force trauma and have forever carried a bottle of polish to fix such chips, usually with disastrous results. The other day, I got very frustrated and walked around with a half naked big toe all day. Don't ask! So, I broke down and bought the Essie version of Guchi Muchi Puchi and a top coat. I spent $8.00 on the color and $9.99 on the top coat. My guilt of paying full price had me practically sweating as I walked out the door of Trade Secret. Seriously, did I just spend $18.00 on nail polish??? What is wrong with me? I even held onto the polish for a few days before opening in case I decided to return them. I broke down last night and applied the nail polish! Whoa, did my mind change instantly. It dried fast, I mean nearly instantly. I successfully applied base coat, two coats of color and a top coat over the course of one hour and then went to bed an hour later to wake up with perfectly smooth nails. I even painted my real fingernails for the first time in my life (I've usually had acrylics or gels and if not, I bite the heck out of them). I LOVE THIS STUFF and have realized, after eight years, that one cannot afford to be cheap in purchasing nail polish. Of course, we'll see how long it last but I did hammer a pen cap on the nails this morning and they do not chip, not even a dent! Maybe I'll quit biting now that I have pretty nails (which if I think about it, is significantly less expensive than fake nails). Item number two in this LONG post - RAZORS. I have always bought the Sam's club bulk 35 razors for $7.99. Yeah, you may think, what on earth was a thinking there? 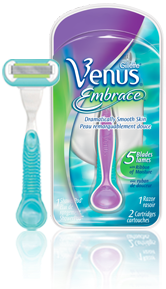 I had every good intention of buying a Gillette Venus razor. I have taken my coupon to the store, looked at the package and thought "there is NO way I'm spending sixteen bucks on a razor with three cartridges!" Well, I am a CVS master at extra bucks. I bought the razor a few weeks ago along with some cartridges for free with my extra bucks and coupons and OMG! My legs have never been smoother and they actually stay shaved for longer than 2 days. In addition, I haven't had a single cut in weeks! So, long story short, what has blogging taught me? From reading all my bloggy friend's reviews and advice, I decided that I can't afford to be cheap! Thank you, Cary (Well La-Di-Da)!!! As for my favorite movie this summer, I have been watching "Horton Hears A Who." A two-year old runs our house now, remember? Favorite Summer Cocktail: I have to agree with Cary on this one- definitely a Margarita! Yummy! Or a Mojito (I have no idea if I spelled that right)! Favorite Summer Song: I have NO idea on this one...let me think and then I'll come back to it. Okay, I'm back....still thinking, I'd have to say the song from the movie "Enchanted" called "How Do You Know (she/he loves you)." I'm really not much of a music lover. Don't get me wrong, I LOVE music, I'm a musician. I just don't love music in the sense most of you all love music. I don't think of it as seasonal. As for this particular song, it's one of my favorite movies that Lallie watches over and over again and the song is always happy, with people of New York dancing around, and it's just fun. Lallie and I usually dance to it in the living room! Favorite Summer Meal: All seafood, I LOVE seafood, steaks, salads with fruit and sandwich wraps. 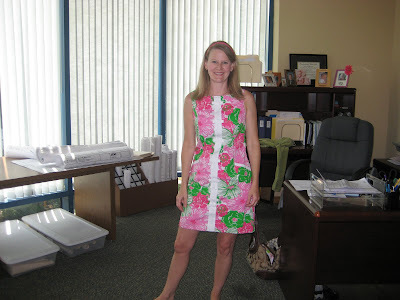 Favorite Summer Outfit: Well, of course, Lilly! Then there's my J. Crew white or khaki capris, my Rampage sandals, my McKims, and my home outfits - T-shirts and sweat shorts! Favorite Summer Moment: The moment we FINALLY closed on our new house and spent the entire evening in our new pool. Later that night after Lallie went to bed, we popped a bottle of champagne and toasted to the new home! It was a very big moment for us as we had been waiting for nearly two years. We were and are so incredibly happy! This was our favorite summer moment this year. 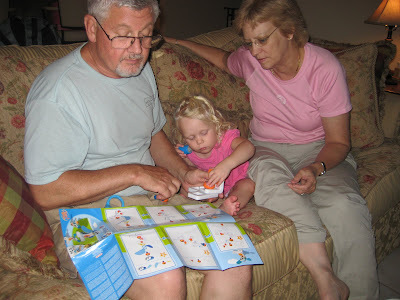 Our favorite summer moment ever: July 30th, 2007...the day our beautiful daughter, Lallie, was born. Hands down, enough said. Period. Get ready for lots of pictures! 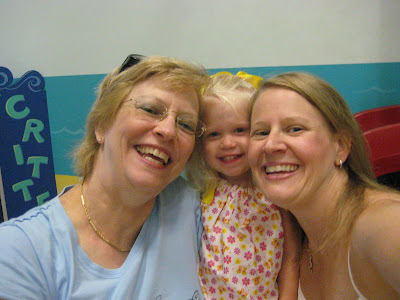 Friday, grandma, Lallie and I went to the Treasure Coast Children's Museum. This is where the JL mixer will be tomorrow night. 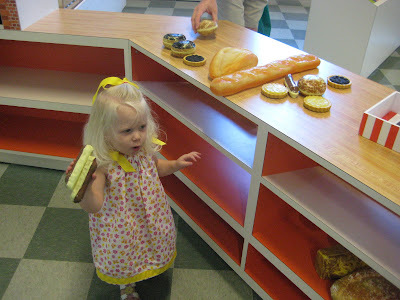 It is such a cute place and Lallie loved it! They had a mini Publix supermarket. Would you like a donut? 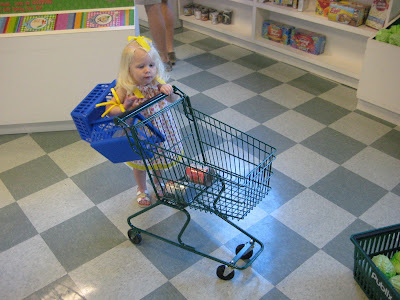 Lallie adored playing with the carts and shopping for goodies. It took a few minutes to catch on, but once she did, watch out fellow shoppers! Of course, Lallie has a thing for purses, and anything with straps that will go over the arm (like mommy's), so she piled as many baskets on her arm as possible. 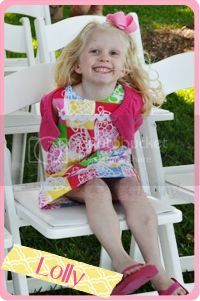 By the way, she's wearing one of the dresses I made her! Isn't it cute? 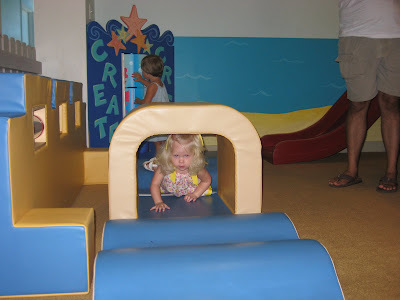 Next, we went over to the beach area at the museum and played on the slide, obstacle course and boat. She went down the slide and through the course, in multiple ways, many, many times! Lallie piled us all into the boat for a picture. She loves taking pictures this way and it's the ONLY way she'll look and smile at the camera at the same time! Later, after we got home and after nap, we all went for a swim, including Mr. Ukey Doo. How did we spend our Friday evening? With the best part of my parents visiting....my dad cooking for us! He loves to cook and always makes fabulous meals, a lot of them international dishes. We had fish tacos and a great summer salad while they were here. Last night, Husband (still trying to think of a good nickname) made his fantastic baby back ribs! Oh, they are so yummy and a real treat as it takes nearly all day to make them. Boy, does your mouth water when you smell them for HOURS before the meal. Sadly, they were all gone in about 15 minutes! 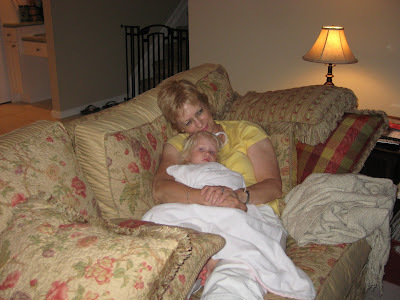 The other best part....my mom relaxing with Grandma, giving us a nice break and giving her a great chance to snuggle with the one and only grandchild. This was at 8:30 at night, a little late for bed, but how could one possibly interrupt this moment? 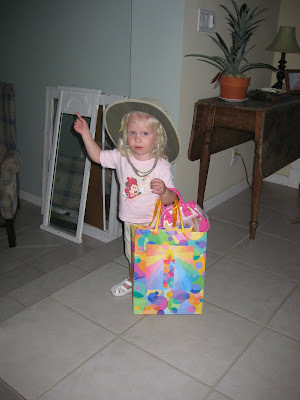 Last but not least (for part 1 anyways), here's Lallie again, with her shopping bags and wearing my mom's Tilley hat. She loves hats, sunglasses and purses. She's so girly that's for sure! Hi everyone: Sorry I've been out of touch the last few days! My parents have been in town and we've been having a fabulous time and I haven't had time for blogging. I will be catching up later tomorrow, adding pictures and also posting a blog regarding Summer as I was tagged by Well-La-Di-Da! In the meantime, I have managed to get a few Ebay listings up. I'm not a big fan of Ebay lately as there are lots of non-paying users however, I thought I'd give it one last try. 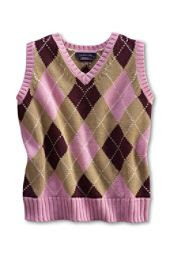 There's not a whole lot up yet, but there are a few books that I know some of my preppy readers would love, including Pretty In Plaid, Mating Rituals of the North American WASP and Notes From the Underwire. As you know, I have my first Junior League meeting next week and I happened to be in Jupiter yesterday for a meeting. So, I dropped by The Gardens Mall to go see if Lilly Pulitzer had any dresses on sale. Oh, yes they did! 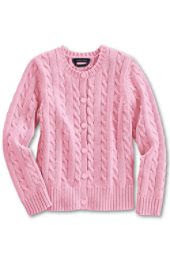 Of course, my office is always absolutely FREEZING, so I brought along my 50th Jubilee sweater. Not exactly the same pinks, but again, it's Lilly, so who cares. 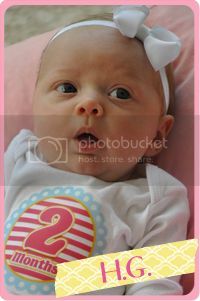 I matched the outfit up with my pink McKims and a 1" grosgrain ribbon as a headband. Definitely my new favorite outfit! Now, onto my office...I am certainly the brightest thing in there, it's looking a little drab and "bleh". It's hard to spice it up though with papers and blueprints everywhere! I also have three pairs of shoes in various locations: tennis shoes for roof-walking, wellies for the rainstorms when I don't want to get my sandals wet, and an old black pair of Guess flats that I really need to throw out! In addition, I have a Tommy Hilfiger lime green jacket that's been here since January, maybe I should take that home. I am certainly not as organized here as I am at home! Eventually I might get around to spicing up my office which might, in turn, entice me to keep it neater. I need to do it tres inexpensively though as most of the decor will usually be covered in shoes, articles of clothing and paperwork. I'm thinking Marshall's??? Maybe next month! My mom and dad were finally able to make it down to visit us and our new home. They are having a sailboat built in England and it was supposed to have already shipped and be in port here in the U.S., so they were trying to wait until it then before they came down. There have been a few glitches with the shipping, so they decided to come on down for a visit. 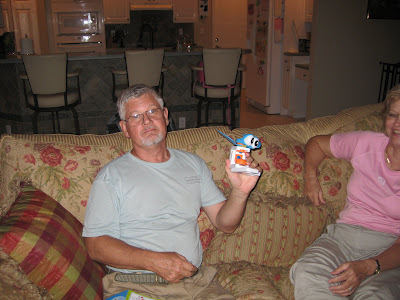 They couldn't wait to see our new house, and more importantly, the only grandchild...Lallie! They had sent some gifts earlier (yay for clothes!) for Lallie but brought a couple other things with them. One of them being an erector set for toddlers. What a neat idea! If you're interested, I can post more about that later but I can't remember the name of it, it's made by a French company. Lallie doesn't really care about putting it together right, she just wants to tinker! 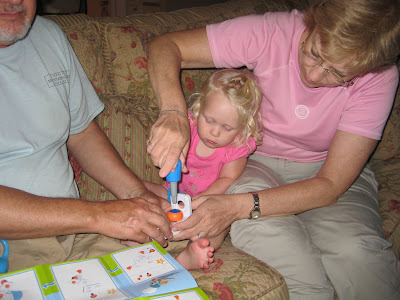 Grandma helping Lallie learn how to use a screwdriver! That is daddy's girl (we just need a pink screwdriver and wrench set instead!) She really got this down pretty quickly. And, the finished product. Can you tell what it is? It's a penguin. Isn't it cute? Apparently there are two other ways to make it as well! 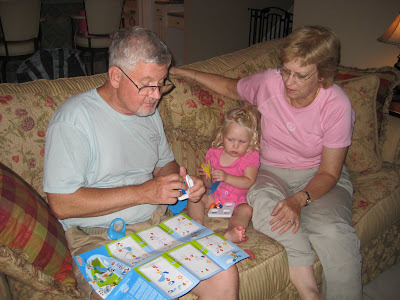 More later from our visit with Geezer and Grandma! In addition, I finally was contacted by the Palm Beach Phi Mu Alumnae Association and they will be starting up their season very soon and should be emailing me with their meeting schedule. I've had trouble contacting all these groups these past few weeks, but have forgotten that it's summer, and everyone breaks for the summer. So, my fall schedule is starting to get packed. That and the DAR (Daughter's of the American Revolution) has their first meeting in September. I am required to attend two meetings to become a member. So, it's going to busy for us in this household, but we're a social family and I've been wanting to get involved in some groups for a while. I really want to volunteer and give back to the community and to my Lord and Savior. I'll get into my story about being a Christian later, but in a nutshell, reading the Bible is unfortunately not my strong point.....music and giving back are my strong points and I am so very excited about the volunteer opportunities that I will be presented with in the near future! I'm finally getting to the Monday weekend recap. Saturday was pretty much dismal. Daddy was still not feeling well and it pretty much rained or was cloudy most of the day. I cleaned house, Hollon played and Daddy laid around. Nothing interesting. 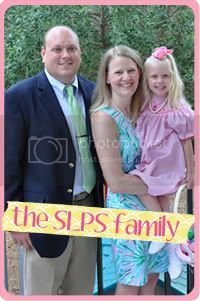 Sunday, Lallie and I went to church (I was wearing Lilly which is always fun!) Lallie was NOT a happy camper in church....we are still fighting her temper tantrums. She just wants to go to the playroom. I guess it's time to consider Sunday school. She's like me, a people person, so she'll fit right in! Oh, and I think the massive chunk she decided to bite out of my arm might have helped me make that decision! Have I mentioned she's feisty??? Don't get me wrong, Lallie is an absolute peach 80% of the time. She's obedient ("all right mommy"), she puts her toys away when asked, she doesn't throw much of a tantrum when she's told "no." But, church is a whole other story. I really think fellow church members think she's like this all the time, but she's really not like that at all! I just love the look on her face in all three pictures, absolute joy! 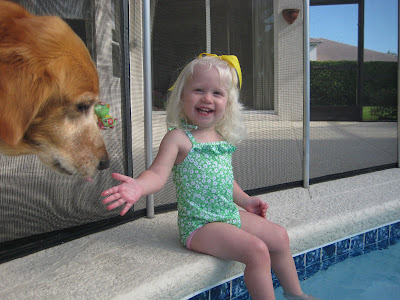 I am trying to teach her to swim, it's not working out to well because, well, I'm her mommy. Here, I'm trying to get her to kick and I say "kick, kick, kick, kick, kick" really fast. She didn't listen. It'd be better to hire a swim teacher. We tried multiple times to take a good picture before church. It just wasn't working. This one of us is pretty decent except I'm not quite sure what I'm doing with my eyes. It's like I'm trying to open them as wide as I possibly can. This is a recent picture taking development. I wasn't always like this. Whew! I knew you all would want to know the winner of this giveaway, so I quickly tallied up everyone's entry amounts, pasted them all into a spreadsheet, cut them out and then drew the winning name, all first thing this morning at my office. Wow! That takes some time. 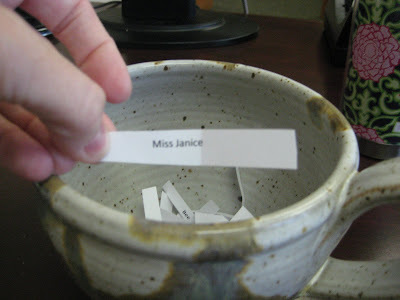 So, without further ado, the winner is: Miss Janice from Etiquette with Miss Janice!!! If you've never heard of Miss Janice, head on over to her blog. It will not disappoint. 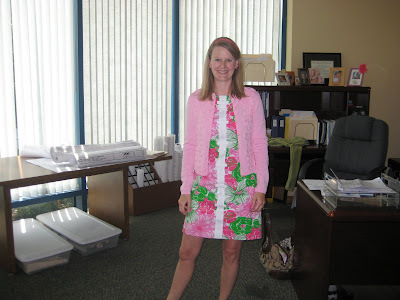 She is the front runner in proper etiquette and blogs as such, along with many other interests including her love of Lilly, all things pink and green, tablescapes, fashion etc. I always enjoy reading her blog and gaining inspiration from her ideas. One thing's for sure: when Lallie turns four in a couple of years, she will be enrolled in Miss Janice's etiquette course for wee ones. We fully intend to raise our daughter to be a proper southern little lady and any little bit will help in this day and age! Have a great start to the week everyone! (By the way, I have NO clue why my letters are HUGE, blogger won't let me fix it - oh well). Daddy was out of town earlier this week and is now home sick in bed. It's been all mommy and Lallie time this week. So family, I'm sorry I don't have many pictures to share. I do however, want to ask opinions of everyone. The Upholstered Headboard....what are you thoughts? Like, Maybe, Utter Dislike? Personally, I'm conflicted! I'm keenly interested in my mother-in-law's thoughts as well, she has great decorating taste. 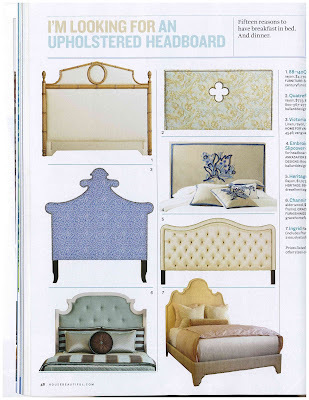 The upholstered headboard is in every magazine from House Beautiful to Coastal Living to Ballard Designs catalog (by the way MIL, did you know there is a Ballard Design Outlet in Tampa and Jacksonville?!?!?) I don't quite know if I like this style or not. My master bedroom adorns a very LARGE black mission style wooden bed, I love it. We don't have any headboards in our other rooms yet, but since we just moved and this will be our long-term home, I'm looking at all the decorating possibilities. I'd like to switch things up a bit, but I don't want to leave my comfort zone. 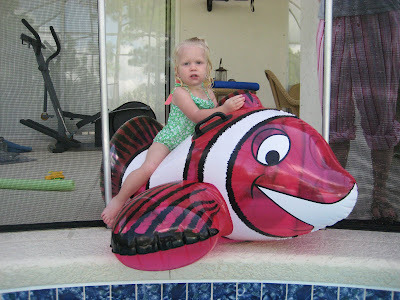 Along with this, Lallie will be in a big girl bed sometime within the next year - closer to the age of three. I LOVE the fabric headboard for a girls room. In fact, I'm thinking twin beds, for her and a little sleep over friend or if we ever have another girl, to share a room and have another room as a playroom/homework den. Just thoughts. I think this headboard idea is fabulous in a color other than pink. I can picture it now, two twin beds with a cute rug in between and a little nightstand. I clipped the following out of a magazine (am I allowed to do that? Oh well). I LOVE this room, everything about it. It's crisp and fresh and the colors so vibrant, yet calming and relaxing. Perfect for a guest bedroom. I also love how they tucked the sheets under and didn't use a duvet or quilt but simply rather laid one over the bed. It's simple and comfortable, you just feel invited into this room. 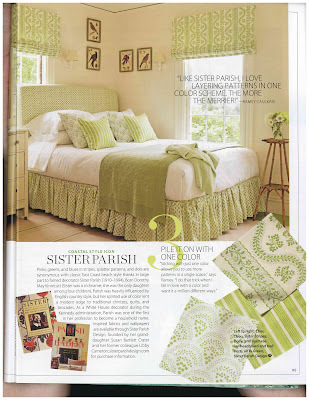 These other headboards (I hope you can see them), I'm not crazy about the styles. A bit over-dramatic. I like simple elegant. I don't want a bed in which I'm uncomfortable sleeping, as if the bed is an untouchable fixture (like formal living room furniture when you sit on the very edge of the couch sipping your tea). The bed should be inviting and welcoming, luxurious. The "Less is more" approach. Am I letting the bold fabrics get in my mind's way? Would they look better to me in a solid, more muted fabrics? I just don't know! I do love the wood backed fabric covered head board. It brings a little umph to the room without going over the top. It's inviting. There are so many styles of upholstered headboards these days and they are increasingly growing in popularity. I do think I'm going to look into these for Lallie's room, I think that would be very cute. What do you think about the upholstered headboard? Do you have one or would you buy one or have one made? I hear it's not too terribly difficult to make one yourself either. Let me know, I'd love to hear! 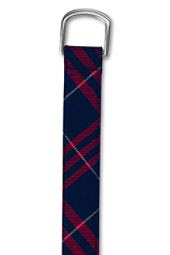 This makes me wish I were in grammar school again! 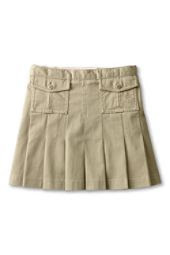 I received Lallie's school paperwork today and accompanying it was the Land's End catalog for ordering uniforms. I know, I know, Lallie's only two and they don't even make her size in these clothes, but I am TOTALLY buying these when she can fit into them. 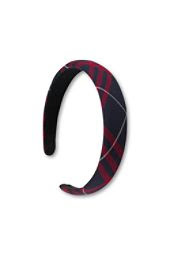 I can just see her wearing this little adorable prep-school outfit with the plaid belt and headband? 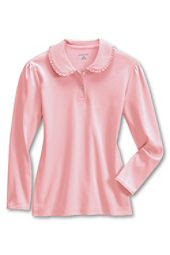 ...or maybe this adorable little pink shirt with knee socks and either a button-up sweater or argyle pullover vest? I used to wear knee socks with my Catholic school uniforms. They were really not cool in my days in school. If we only knew. I tried to upload some very cute moc shoes and mary jane's. They actually make the moc shoes in women's sizes, perfect for fall/winter. 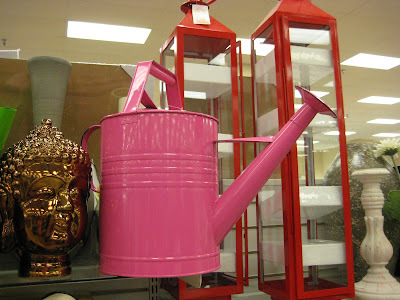 I LOVE these watering cans. 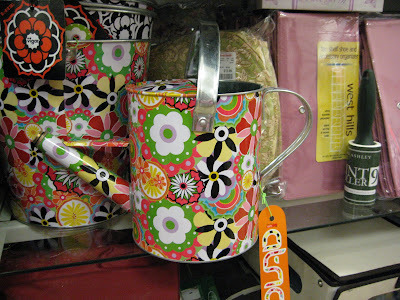 The pink one might just adorn my pink and green room with some lovely flowers - once it's on clearance, that is! Now, I've seen pink screwdrivers, hammers, wrenches, but this is a first! 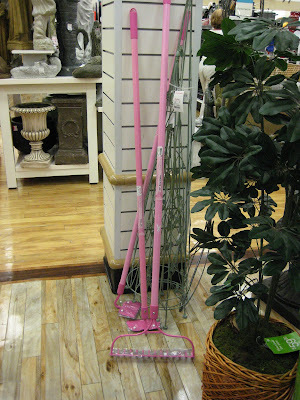 Aren't these adorable gardening tools? It was not of my own doing that I went to HomeGoods. Stuart made me return something for him. Honey - never send a women to HomeGoods by herself. I didn't buy anything, I swear! Honestly.